Still reeling from Sunday’s TWD Season 7 premiere? On this week’s episode, we’ll take a look back at the gruesome reveal fans have been waiting for…or dreading. AMC’s newly-minted super-villain Negan showed no mercy and took no prisoners…well, he took one. We’ll talk about everything that happened during what is only the beginning of a frightening new reality for the remaining survivors of Alexandria. We’ll also be talking to Hal-Con organizer Jennifer Lambe about this year’s event in Halifax from November 4th to 6th – and The Recap Sequence will be there. For more info on the guests and all of the happenings, be sure to tune in to CHSR 97.9FM on Wednesday night at 9PM (Atlantic) to hear it straight from the source! You can also learn more about Hal-Con right here! It’s back! Speaking of The Dead returns to CHSR 97.9 FM on Wednesday, October 19th! We’ve taken a few weeks to gather our thoughts on that season 2 finale of Fear the Walking Dead and…well, let’s just say that there were some plot and character issues that we hope to see tuned up for season 3! But A LOT happened with big consequences and there’s plenty to talk about! We’ll recap of what happened and share our thoughts on where things may be going next season. AND with the season 7 premiere of The Walking Dead just days away, we’ll run through the list of survivors one last time and assess their chances of making it through Sunday’s episode alive! Be sure to tune in to CHSR 97.9 FM on Wednesday at 9PM Atlantic (8PM Eastern) or stream us online at chsrfm.ca. 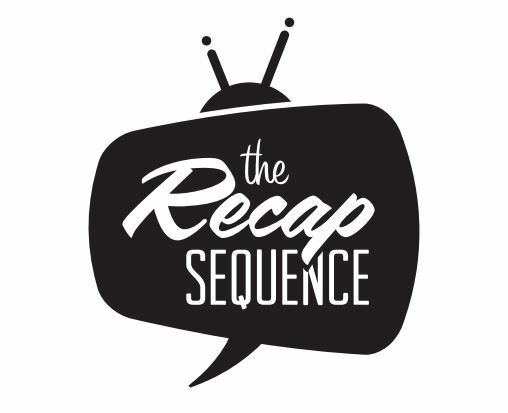 Follow us on Twitter @recapsequence and check out all of our other shows right here. Episode 29 – More Marvel with Brent O’Hara! On this week’s episode we’re joined by our favorite Marvel fan, Brent O’Hara, for a look at the new season of “Agents of S.H.I.E.L.D.” (Ghost Rider!! ), the upcoming “Dr. Strange” movie and maybe even some “Luke Cage”! We’ll also have a few things to say about that 2-hour season finale of “Fear the Walking Dead”, but will reserve our full review for the next installment of “Speaking of the Dead” on October 19th! And of course we’ll be talking about last week’s episode of ABC’s “Designated Survivor”! Be sure to tune in to CHSR 97.9FM on Wednesday night at 9PM (8PM Eastern) or hear us around the globe at www.chsrfm.ca!